Start-rite Wave is a boys canvas shoe. 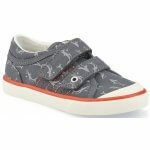 It features a textile upper with sea life detailing. The double Velcro fasteners allow for easy on and off, while still maintaining a secure fit. A rubber sole provides added grip with a rubber toe bumper that helps to reduce scuff marks. 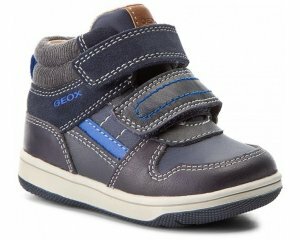 This shoe is also machine washable at 30 degrees, making it a great everyday shoe as it can be cleaned easily. Jump into fun with Start-rite Wave!